2. Can I have 24 hour access? Please inquire about 24-hour access. This option is available on outdoor access units only. 3. What is PIN Code access? Each of our units are individually alarmed. You will choose a code that will allow you to enter the building and will disarm and re-arm your unit each time you come and go. Yes. We require a full months rent as security when you rent a unit. This deposit will be returned to you 10-15 days after you have vacated your unit and left your space in a clean and undamaged condition. 5. Is there a minimum stay required? Yes. The minimum rental charge is 2 weeks. You must notify staff if your stay is going to be short-term as we do have a 28 day notice policy for rentals. 6. When is the rent due? Your rent is due on the day you move in and then on that date every 4 weeks after that. 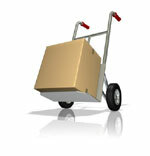 For example, if you move your goods in on May 15th, your rent is due on the 15th of every month. Canada Storage Station does not provide insurance. Customers need to consult with their home owners or tenants insurance policies to confirm coverage. 8. What is the temperature of the units? All of our buildings are heated to help prevent mold and mildew. We do not cool the buildings but we try to ensure that the temperature is at least an average of 10° C.
9. Are there lights in the units? Our hallways are well-lit and provide lighting for our smaller units but as you move deeper into a large unit, you will likely need additional lighting such as a flashlight. 10. Do you have indoor vehicle storage? Yes, you may store vehicles inside our larger units. There are restrictions and requirements when the vehicle is stored - please contact our office for more details. For example, all vehicles must be empty of fuel and other similar substances. Propane tanks for recreational vehicles must be empty as well. 11. Can we store paint or other similar materials used for our business? No. In order to maintain our fire and safety standards, no hazardous, flammable or explosive materials, fluids or chemicals are permitted. This includes paint. 12. Do you sell locks and moving supplies? Yes, we carry a variety of packing supplies including tape, tape dispensers, cylinder locks for your unit, bubble wrap, packing boxes, china barrels, wardrobe boxes and more. See Packing Supplies.